I have several unorganized web pages about 144Mhz. Some are old and not maintained. I try to collect these pages on this page in an attempt to create a structure. FT817 / FT450D with 28 to 144MHz transverter. Several antenna's. On my house (9m agl) 2x10 el DL6WU but I have a lot of s9+++ man made noise. It is not usable anymore. 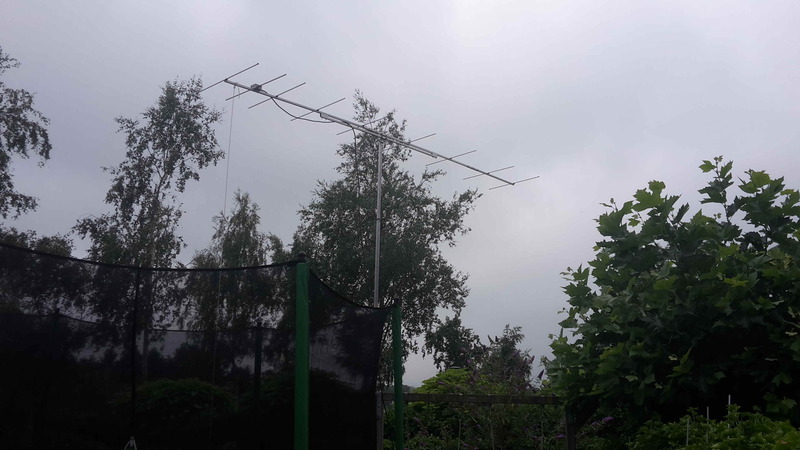 My garden is relative noise free and I have put here a temporary mast max 6m above ground. Downside is that 320 to 100 degrees azimuth is blokked. I use 9el 28ohm DK7ZB or 9el 12.5ohm OWL. Pantelleria DXpedition IH9/PE1ITR on 50MHz and IH9/PE1BTV on 144MHz from JM66AT (2015).